This report addresses concerns and arguments about the true cost of ink in desktop photo printing. Using the Epson Stylus Epson 1400, we conducted a series of print tests to determine how much ink is used in a full coverage 8”x10” print. From that figure we extrapolated ink usage per square inch. The objective is to share a realistic cost per print vision with inkjet users. 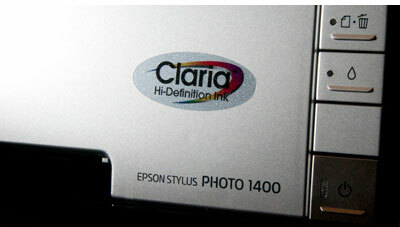 The choice to pursue photo inkjet printing is in the end an individual economic choice. Our calculations are based on the current Red River Paper price for Epson 1400 inks.